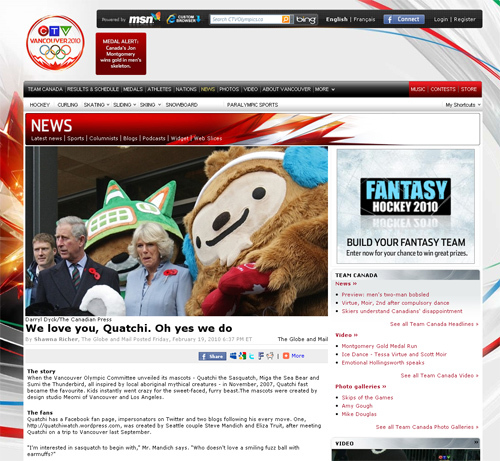 Shawna Richer of the The Globe & Mail wrote about the mysterious appeal of Quatchi, and Quatchi Watch got a sweet mention right up at the top! Check out the whole article right here. If anyone up north wants to send us a hard copy, we’d be totally thrilled! Just leave a comment and we’ll send you our address. This entry was posted in Uncategorized and tagged celebrities, Quatchi, Sumi. Bookmark the permalink.